Freeze dried green coconut water - the clear natural liquid inside a young, unique coconut that is a great rehydrator & very refreshing. 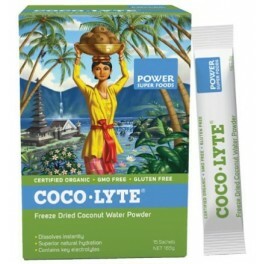 Unlike most 'sports drinks' that have added colours, artificial colours, artificial flavours, sugar syrups & preservatives, Coco-Lyte is natural & certified organic. 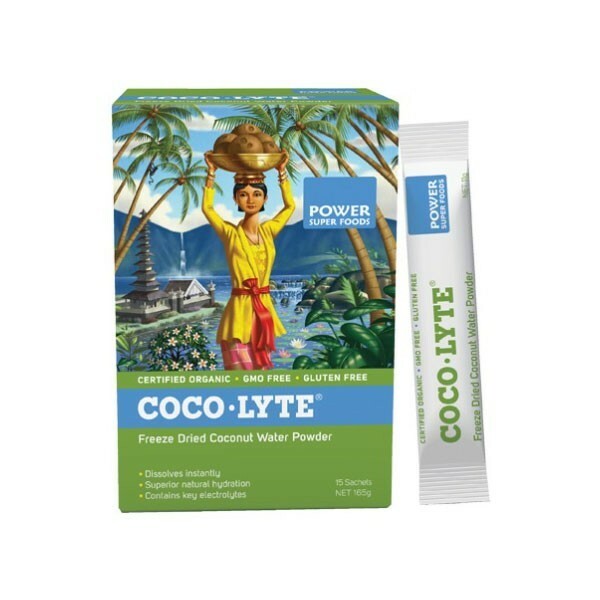 Dissolving instantly, Coco-Lyte is a great isotonic beverage to keep handy & very portable in sachet form for travel, trekking, cycling, gardening, at the gym or beach.....anywhere, anytime!